This section is where you will find out what we've been doing all week! 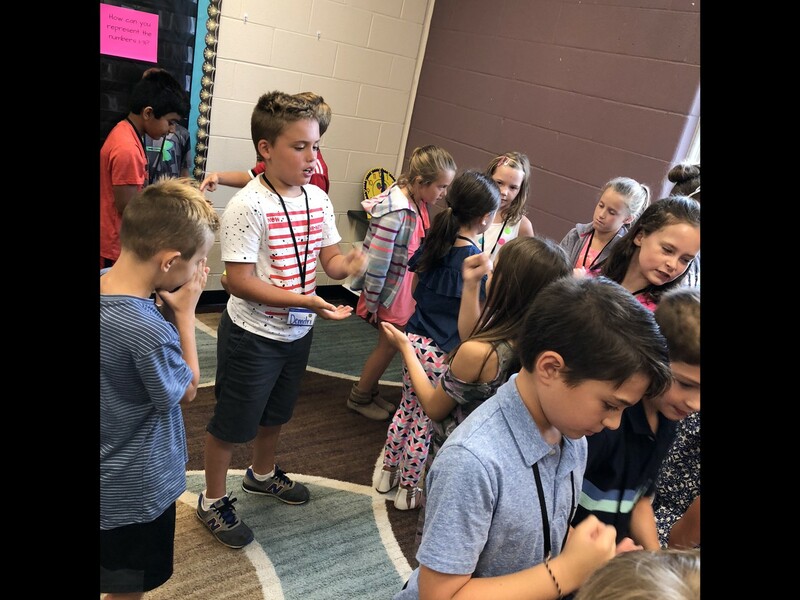 We spent the first two days getting to know each other and building our classroom culture. 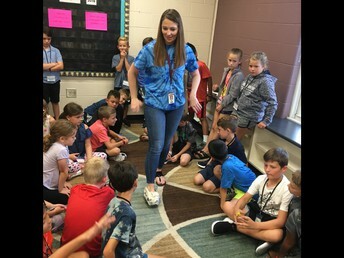 My number one goal for the week is to make every student feel welcome and loved when they walk through the door each day. I work really hard to build a classroom culture where students respect one another and feel comfortable. We will eat a snack every day around 11:00 AM. It is a long time between arrival and our lunch (12:25), so please remember to send a snack with your child. 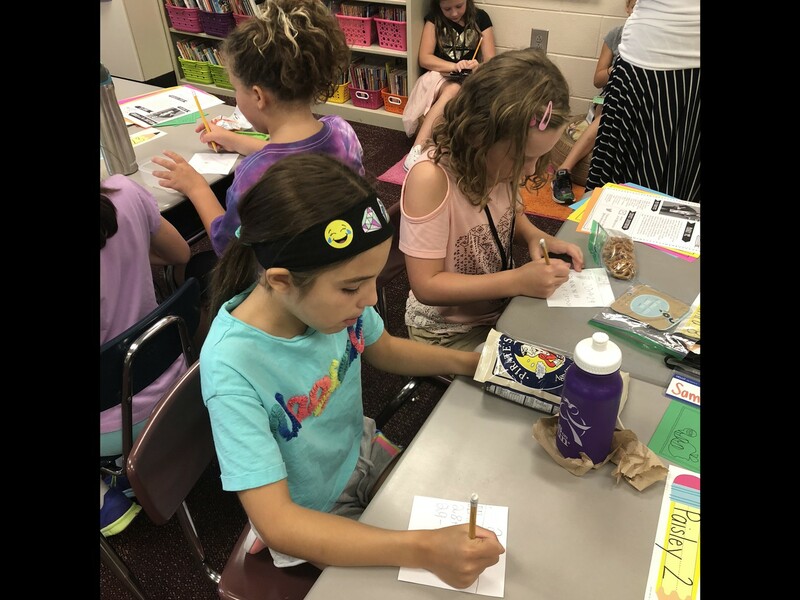 Please remember we are a Nut Free Room, a safe-snack list went home on Meet the Teacher Night, but if you need to see that again, please click here. If you would like to send in extra snacks from the safe snack list for those who don't have a snack, you are more than welcome to. 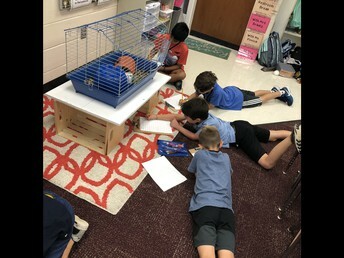 There will be many opportunities for you to come visit the classroom for projects and presentations. Each of us came up with many ways to represent one of our August dates to put in the calendar. I loved the way all of the students were thinking flexibly about numbers! Miss Pratt modeled the shoes students created using only newspaper and masking tape. My favorite part was how all the shoes looked different, but they all met the constraints. 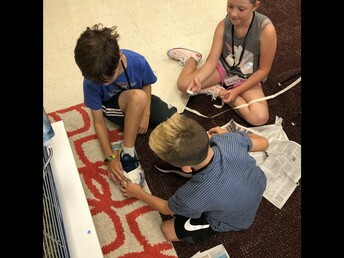 Students worked together to create a shoe using only newspaper and masking tape. 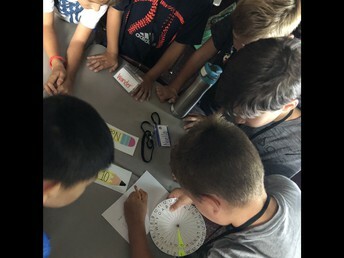 It may look like just fun and games but we were problem solvers, creators, mistake makers, and collaborators. If you haven't read the book The Legend of Rock Paper Scissors, I highly recommend it! 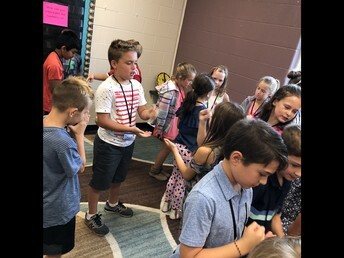 We read the book and then had our own rock, paper, scissors challenge. We received a mysterious letter today and students solved puzzles and used clues around the room to open several locked boxes. Inside the final box we found our first read aloud book, Escape from Mr. Lemoncello's Library.